Sprucing up in the Kitchen! If the only thing you're loving about your kitchen is the food coming out of it, it may be time for an update. Here's how you can add style and function to your kitchen at a variety of price points. Thanks HGTV! 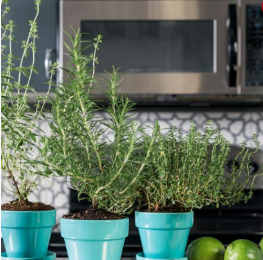 11 KITCHEN REFRESH IDEAS FOR EVERY BUDGET includes fresh plants, coordinating accessories and even an area rug to just name a few! Take a look at the slideshow for more great, budget friendly ideas! Ready for some August fun? Find out what's happening around town!